Taglines: One Man's Dream... Is NASA's Nightmare! 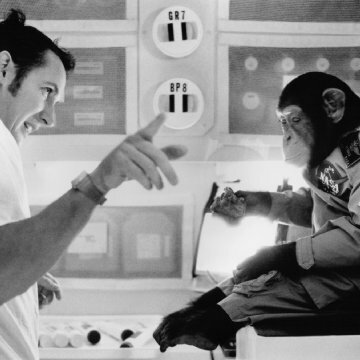 Ulysses (the chimpanzee in the movie) was played by Raven, a three-year-old female chimpanzee. Revealing mistakes: When Fred and Bill share oxygen in their spacesuits, the front shields of their helmets are not pulled down. Paul Wick: Okay, it's still on. I can't remember the last time I laughed so hard during a movie. Harland Williams is a genius. "C'mon all you Chinese....." Who comes up with this stuff??? I got the feeling that the directors and writers just told Williams to work around the script and improvise whatever he wanted? Some of this stuff is so off the wall, you wonder just how much was scripted. And this is not your typical Jerry Lewis slapstick. Williams has a great deal of pure talent. 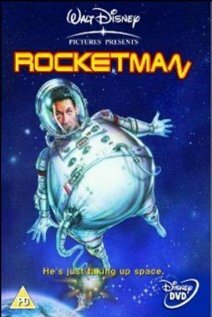 Anyway watch it and just enjoy the wonderful absurdity that is Rocket Man.